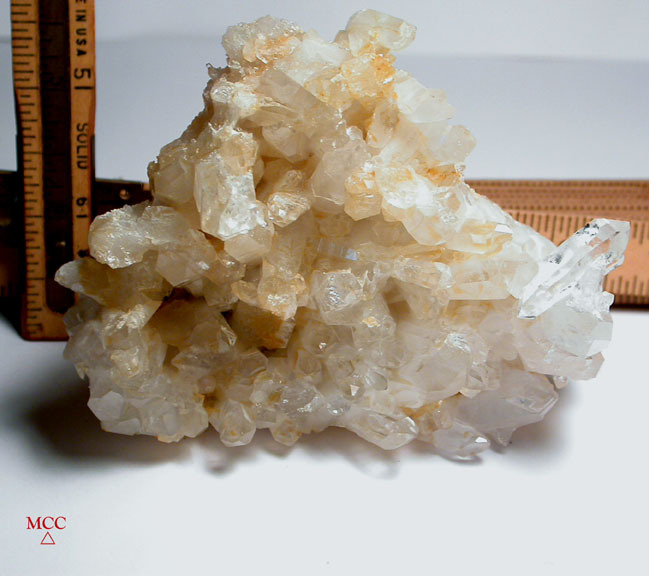 This rare Arkansas mixed golden healer and clear [and milky] quartz cluster has a 'yellow' and white plate bottom and a delightful 'flying' perfectly clear, doubly-terminated crystal with an uncommon 7h face. Iron included in these crystals gives them a golden glow, and metaphysically gives you more strength of heart if that's what you're meditating for. 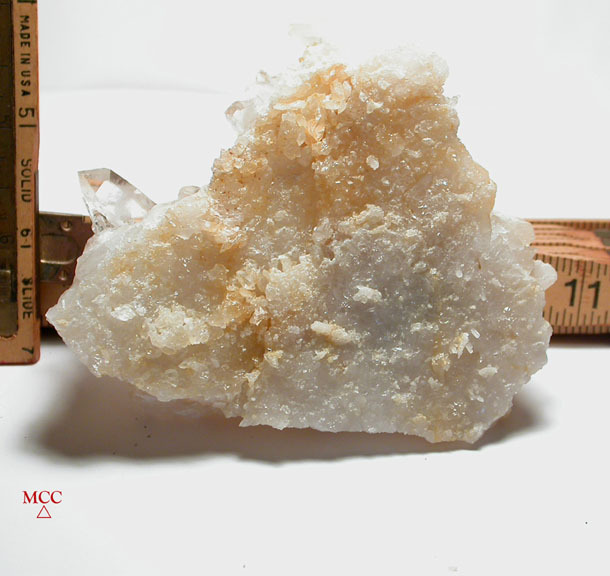 We see at least three more crystals with uncommon extra faces, two crystals missing altogether, a few fleabites and several rainbows. 3-14"x 4-1/4"x 1-1/2" tall - a rare healing gift, or for your own studio.